The FIAF Executive Committee is currently considering all nominations received from colleagues in the FIAF community (i.e. any staff member of any FIAF-affiliated archive) for the 2019 FIAF Award. The final selection will be announced soon. 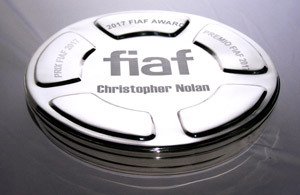 The full list of past FIAF Award recipients, going back to 2001, can be found HERE.